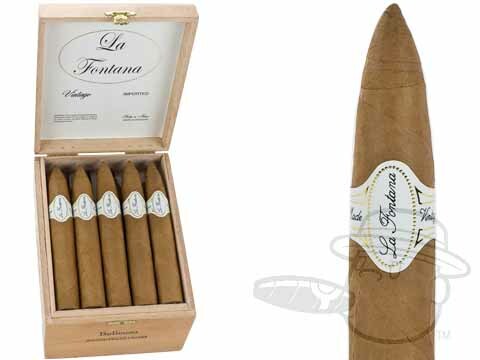 Combining fine Honduran taste with a mellow medium body, La Fontana brings you the best of both worlds. Copiously creamy with hints of subtle cocoa sweetness, La Fontana provides elegant, rich and smooth taste courtesy of a Jamastran Connecticut Gold wrapper, a Mexican binder, and select Honduran filler leaves. Mild but flavorful. Consistent quality with a smooth easy draw. My favorite daily smoke. La Fontana Belicoso is rated 4.5 out of 5 based on 5 customer ratings.